Russian HEI is a winner of EFQM "Excellence Award – 2016"
Congratulations to our partner, Stavropol State Agrarian University, on a victory in a prestigious European competition "Excellence Award – 2016" of the European Foundation for Quality Management ("EFQM Excellence Award-2016")! The 6th ENQA Members’ Forum took place on April 28-29, 2016 in Budapest, Hungary. The Forum was organised in cooperation with the Hungarian Accreditation Committee (HAC). 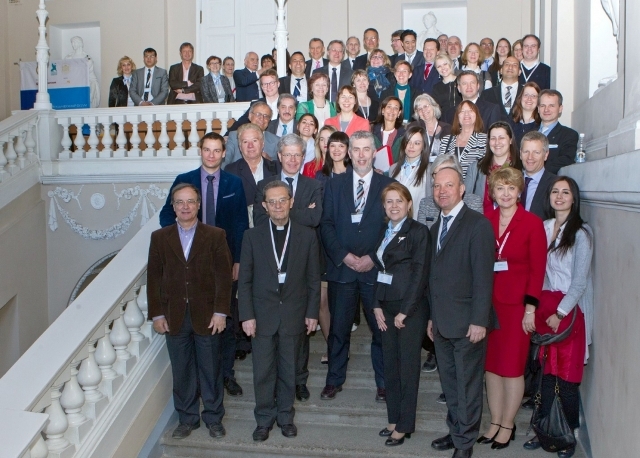 Over 90 representatives from 58 accreditation agencies from 32 countries took part in the Forum. A wide range of issues was discussed during the work of 3 sessions. For example, assessment of educational programmes oriented towards training of academic specialists (at Master's degree and postgraduate programmes), assessment of innovative and scientific activities in a higher educational institution. The issue on the influence of the quality assurance system and accreditation on the procedures of diploma recogniition was raised for the first time by Claudia Gelleni, President of the ENIC-NARIC Network. The problem of fraud in education is closely connected with this issue: production and distribution of forged diplomas, dissertations, academic degrees and a new trend - foundation of unfair accreditation agencies (accreditation mills). General Assembly meeting of the European Association for Quality Assurance in Higher Education and ENQA working group on Staff development, requirements to their knowledge, experience and competences were held in the frameworks of the Forum. Russia was represented by 3 leading accreditation agencies - ENQA full members: National Centre for Public Accreditation (director V.G. Navodnov, deputy director G.N. Motova), Agency for Quality Assurance in Higher Education and Career Development (director E.Y. Soboleva), National Accreditation Agency (director L.S. Izmailova, specialist of the branch in Yoshkar-Ola F.Z. Garifullina). Over 20 years in accreditation! Scientific and Information Centre of State Accreditation was created in Yoshkar-Ola 21 years ago by the Order of the Chair of State Committee on Higher Education, V.G. Kinelev. The first Accreditation board was held in April in 2 years. Since then the notion "accreditation" become part of Russian education. 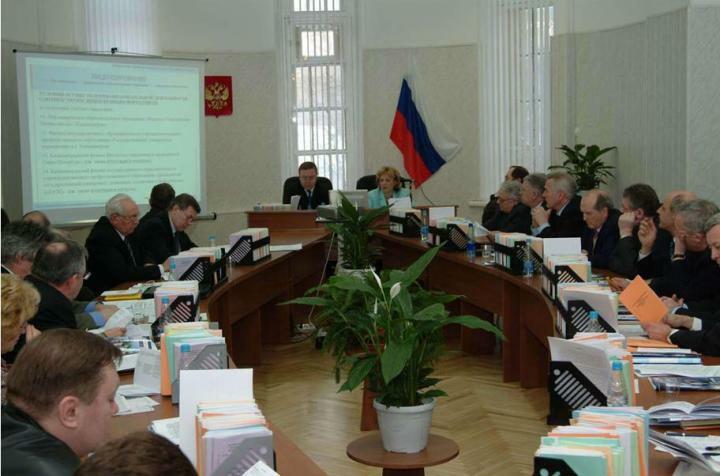 Independent accreditation develops rapidly after appearance of a new Federal Law "On Education in the Russian Federation" № 273-FZ of December 29, 2012. At present the National Centre for Public Accreditation (Yoshkar-Ola) maintains leading positions in this sphere. NCPA underwent successfully international external review of ENQA and official registration in the European Quality Assurance Register for Higher Education (EQAR). February, 1995 - Seminar “Information technologies of the accreditation of educational institutions” involving V. Shadrikov, Deputy Chairman of Russian Federation Committee on Higher Education, N. Lazutova, Deputy Minister of Education of the Russian Federation and V. Meshalkin, Head of the Department of Licensing, Accreditation and Nostrification. Presentation of software package “Monitoring of Accredited HEIs of Russia” and the Kamerton technology. Creation of the first prototype of the Central Database of State Accreditation. April 18, 1995 - Scientific and Information Centre of State Accreditation was created in Yoshkar-Ola (the Order of State Committee on Higher Education No 570 dated 18.04.1995). V. Navodnov became the appointed Director of the National Accreditation Agency (the Order of State Committee on Higher Education No 602 dated 24.04.1995). V. Kuklin became Deputy Director. April 22, 1997 – First meeting of the Accreditation Board of the Ministry of Education of Russia. Cases of 27 HEIs prepared by the Centre of Accreditation were considered. July, 1998 – A seminar on accreditation issues with the participation of V. Bolotov, Deputy Minister of general and professional education of the Russian Federation was held. June, 1999 – V. Filippov, Minister of education of the Russian Education, visited the National Accreditation Agency of the Russian Federation. September, 2004 - The international conference “Promotion of European cooperation in Quality Assurance” was held in St. Petersburg, Russia. July, 2004 – Visit of the head of the Federal Service for Supervision in Education and Science V. Bolotov. April, 2005 – The 10th anniversary of the first Russian Accreditation Agency; the Director is professor Vladimir Navodnov. 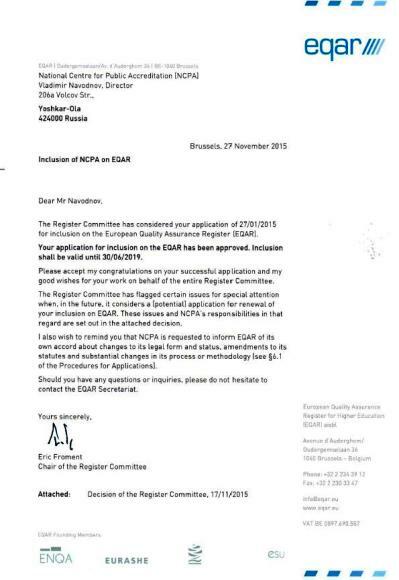 September 25, 2009 – FSI "Rosakkredagentstvo" was granted the Full Member status in the European Association for Quality Assurance in Higher Education (ENQA). (prof. V.G. Navodnov, Director; prof. G.N. Motova, Deputy Director). 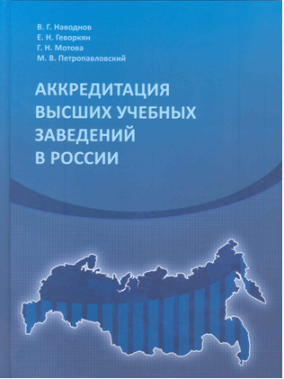 November, 2009 – Publication of the teaching guide "Accreditation of higher educational institutions in Russia" (v.G. Navodnov, E.N. Gevorkyan, G.N. Motova, M.V. Petropavlovskiy. - Yoshkar-Ola, 2008. — 166 p.), in which the procedures for the evaluation of the quality of a HEI was presented; indicators, methods and criteria of state accreditation, methods to define the type and the kind of an institution of higher education are considered based on a system approach. The National Centre for Public Accreditation (NCPA) was established. NCPA’s mission in Russian system of quality assurance is to form and promote quality culture in higher education through identification, evaluation, and accreditation of the best educational programmes in accordance with the legislation of the Russian Federation and the Standards and Guidelines for Quality Assurance in the European Higher Education Area (ESG-ENQA). The National Centre of Public Accreditation was created by the separation from the National Accreditation Agency of the Russian Federation (NAA). December, 2012 – The first meeting of the National Accreditation Board on accreditation of the educational programmes of two federal universities was held. November 26, 2014 – the National Centre for Public Accreditation was granted Full Member status in ENQA (the European Association for Quality Assurance in Higher Education). 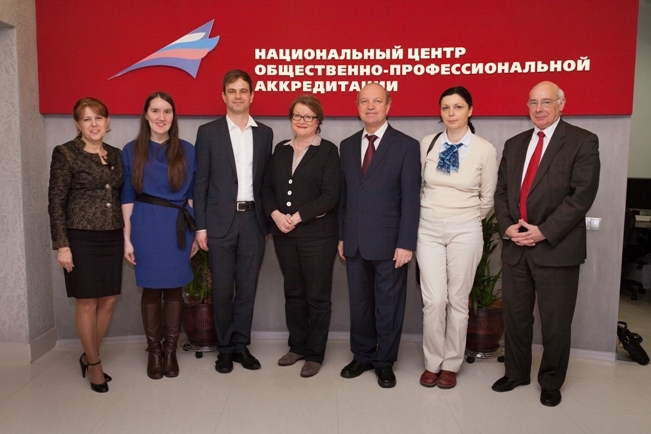 April, 2014 - The 4th ENQA Members' Forum was held in St Petersburg, Russia. 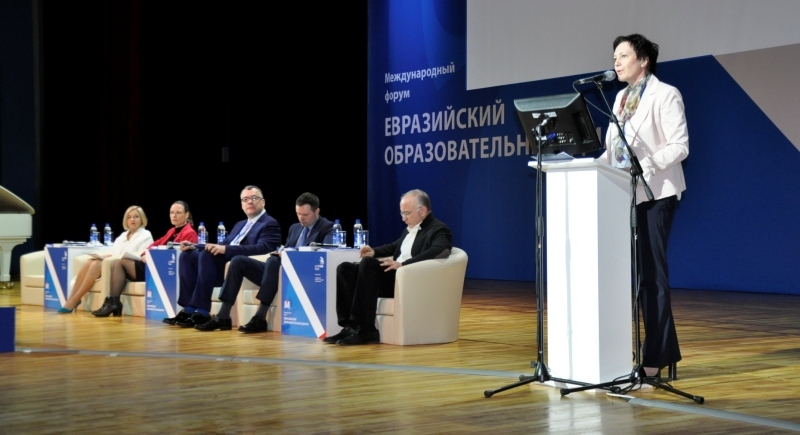 The 4th ENQA Members' Forum was held in St Petersburg, Russia. The Forum was organized by National Centre for Public Accreditation and Saint-Petersburg State University of Economics (FINEC). The event was attended by 77 participants who represented 48 accrediting agencies from 32 countries. 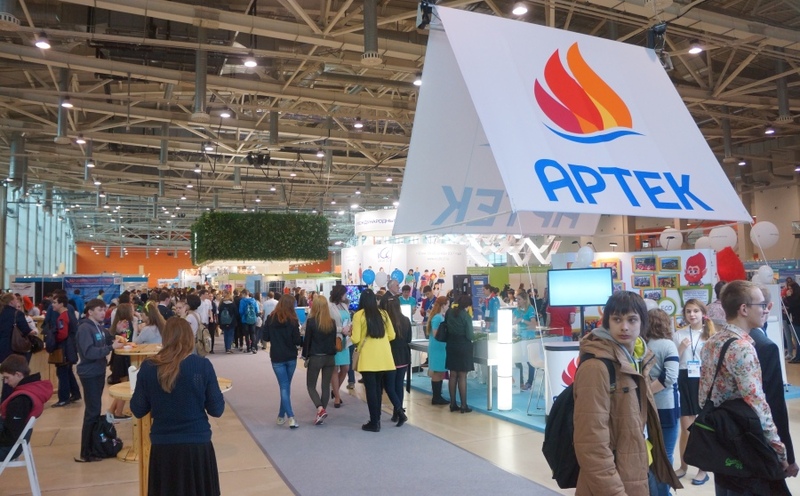 April, 2015 – 20th anniversary of accreditation in Russia. 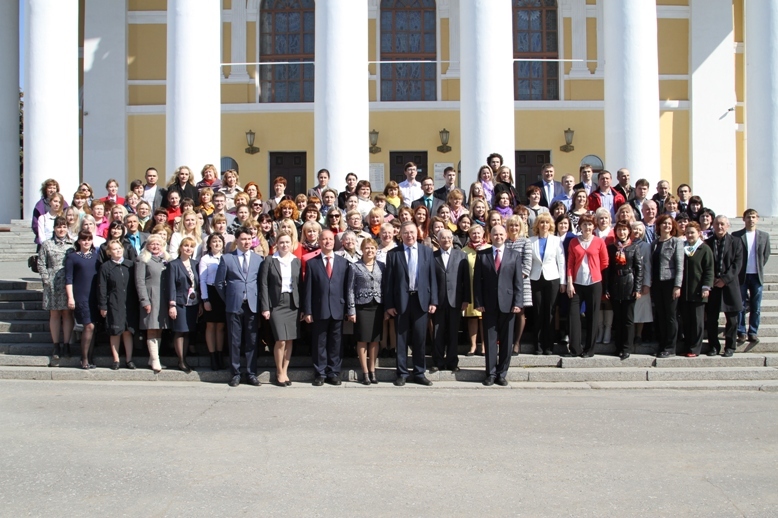 For the fifth time the International Forum "Eurasian Educational Dialogue" devoted to the issues and perspectives of quality assessment in education, was held in Yaroslavl on April 26-27, 2016. Over 700 teachers, scientists and experts from 68 regions of Russia and 7 foreign countries (Austria, Germany, Serbia, China, Belarus, Azerbaijan and Kazakhstan) took part in the Forum. Petr Korotkov, head of the Accreditation Department of the National Centre for Public Accreditation presented a paper on "The content, instruments and forms of independent assessment of educational programmes of higher and secondary professional education". The roundtable organized in the frameworks of the Moscow International Education Fair which took place on April 13-16 at VDNH, was devoted to the experience of use of results of international state and public expertise and national independent ratings in improvement of the quality of programmes of higher education in RF. Natalya Tyurina, the head of “Social Navigator” project conducted by the media group “Russia Today”, and Vladimir Navodnov, director of the National Centre for Public Accreditation, gave a talk on "The experience of use of results of international state and public expertise and national independent ratings in improvement of the quality of programmes of higher education in RF" at the round-table meeting.